One of the items I have a photo of from my first Health Options post was that of Dickinson’s Original Witch Hazel Pore Perfecting Toner. More than a couple of months since I started using it and I think my skin is loving it. 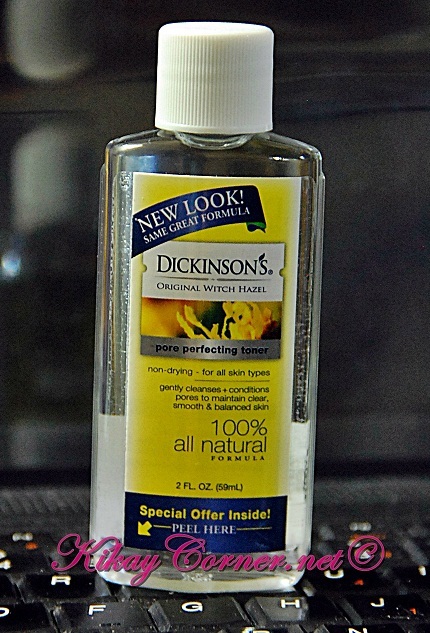 I have since been using Dickinson’s Witch Hazel Pore Perfecting Toner in place of Nautreal’s Facial Cleanser. The ingredients of the latter being Licorice Extract, Mulberry Extract and Witch Hazel. My skin is finding the former to be friendlier and non-drying. Somehow after a couple of months of using Nautreal Facial Cleanser, I noticed my face becoming drier than usual. Directions for use: Use daily after cleansing or before applying skin treatments. Moisten a cotton ball or pad and apply to face and neck. For best results, use in the morning to prepare and evening to repair for naturally soft and beautiful skin. 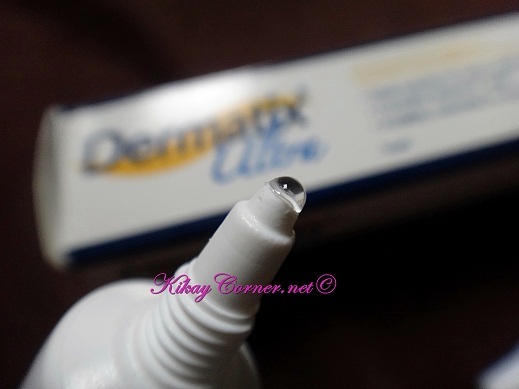 For some reason, the klutz in me spring up from time to time, making this Dermatix Ultra scar remover very handy. I have read that these moments are not uncommon to us, ladies, when hormones go berserk during our time of the month. I usually get minor bruises or trip here and there. Nothing major as my shin skin scraping off until one night last June. It was crazy painful! But I can only be thankful that I was wearing pjs. Else, I could have scraped myself to the bone! Ouch! 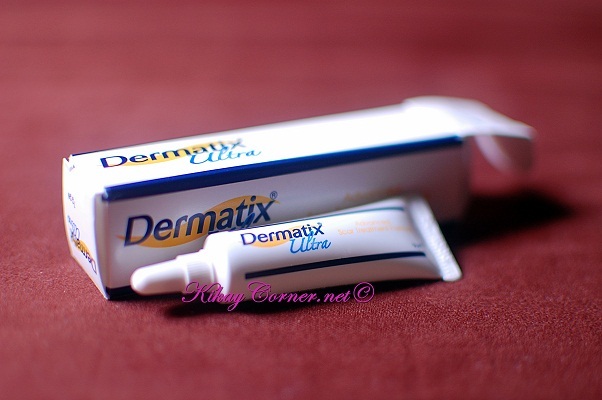 It was then that I remembered this lady over at a drugstore approaching me about Dermatix Ultra some months back. I did not pay much attention to it much since I don’t have major boo boos that needed some erasing. A couple of weeks after the incident I went to the drugstore to check this out. 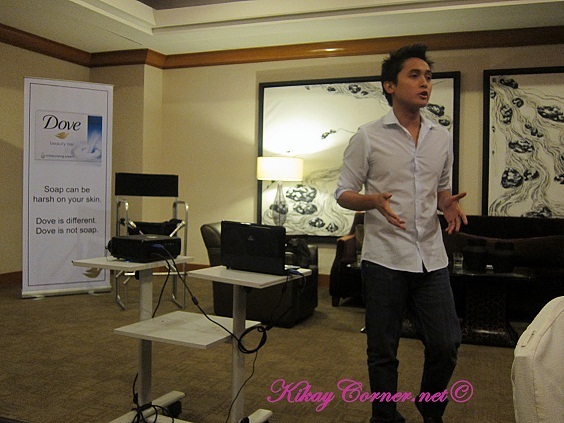 Gem Laforteza of Unilever started off the discussion as he told us what to expect of this intimate Dove event. Everything will be basically about the importance of proper skin moisturization. The Magnitude of Moisture was discussed by Dermatologist Dra. Tiongson. 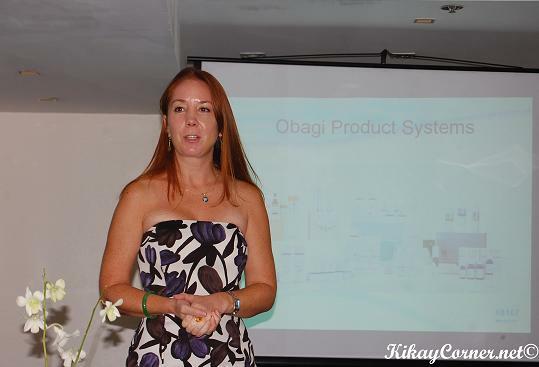 From the basic parts of the skin, skin types, to the types of moisturizers and their functions. Do you know that scar tissues are formed when the skin is damaged below the epidermis and into the dermis level? This means you no longer have to worry if you got a superficial wound. It will go away in time and chances are there won’t even be scars to tell that there ever was a boo-boo. 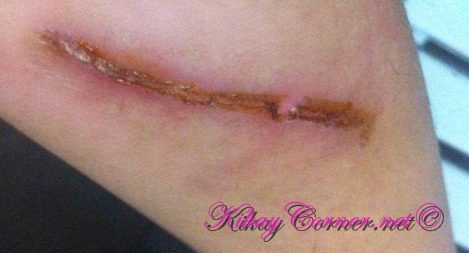 Ordinary scars usually take five to seven days to heal depending on the depth of the wound. There are people who are keloid formers. Keloid are scar tumors which are not malignant and usually grow larger than the wound itself. Stretch marks called striae (latin for channels) are usually caused by distended skin and the breaking down of elastic proteins detaching the epidermis and ermis from the collagen tissue.